There has never been a more challenging time for aerospace companies to find people. As a dedicated aviation company with more than two decades of experience, Reliance Aerotech Services has the credibility with aviation talent and the industry expertise necessary to help MROs, aerospace OEMs and government agencies implement the people solutions they need to remain competitive. From providing aviation staffing and recruitment services to executive search and total project support, our team of aviation industry specialists is ready to help you implement programs that deliver the results your organization needs. 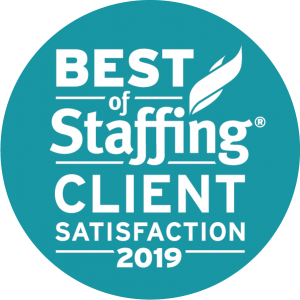 And we’ll support your program with customer service that has earned Reliance the Best of Staffing award for Client satisfaction. We invite you to learn more about our solution areas and talk with us about how we can help you meet your goals. Quick and friendly service. Response time is sometimes very critical and Reliance always makes it happen with qualified applicants. We have used Reliance Aerotech Services multiple times this year to fill important positions and they have always provided us with solid candidates in a timely manner. Contractual arrangements and invoicing work smoothly. We answer some of the most common customer questions. Learn from Reliance’s insights into the aviation industry. Have Reliance prepare a quote for your program. Please call toll-free us at 1-866-622-5086 and select option 1 to start the conversation, email us at services@reliance.aero or request a quote here.